Touristy Harbourfront used to be a hectic shipping terminal. Today, it is Toronto's event central. Harbourfront especially comes alive every summer, with free concerts and a variety of festivals scheduled throughout the season. 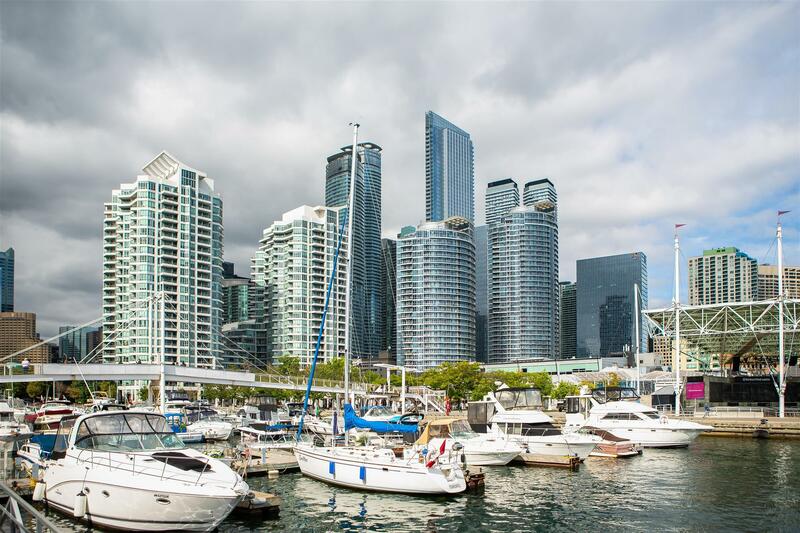 Location: Harbourfront is located along Queen's Quay, south of the Entertainment District.This waterfront neighbourhood is bounded by the streets of Strachan and Parliament. 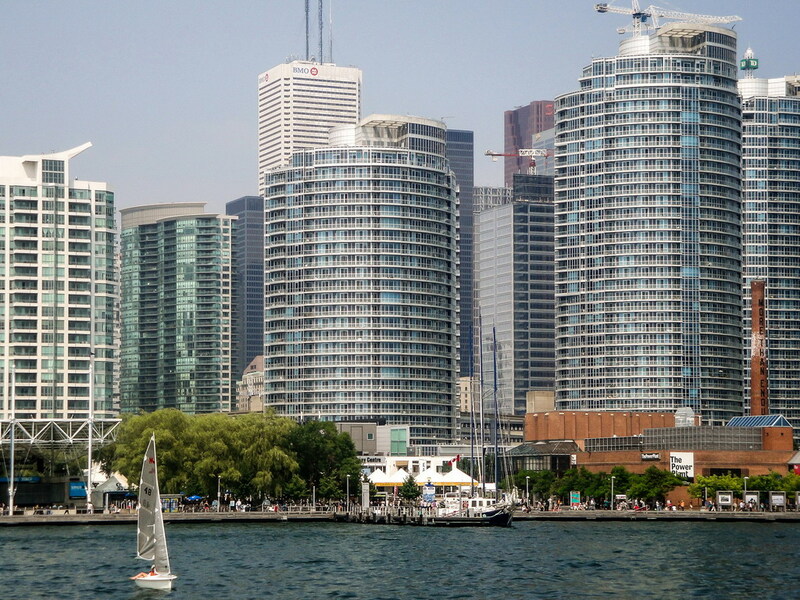 From Harbourfront, Downtown Toronto is approximately 2 kilometres away. Other nearby communities include the Distillery District, Liberty Village, St Lawrence Market, and Corktown. Transportation: There are several options you can take to get in and around Harbourfront. For instance, you can take one of the streetcar links that wrap around the area to get to your destination. Harbourfront is a gateway to Toronto Island. 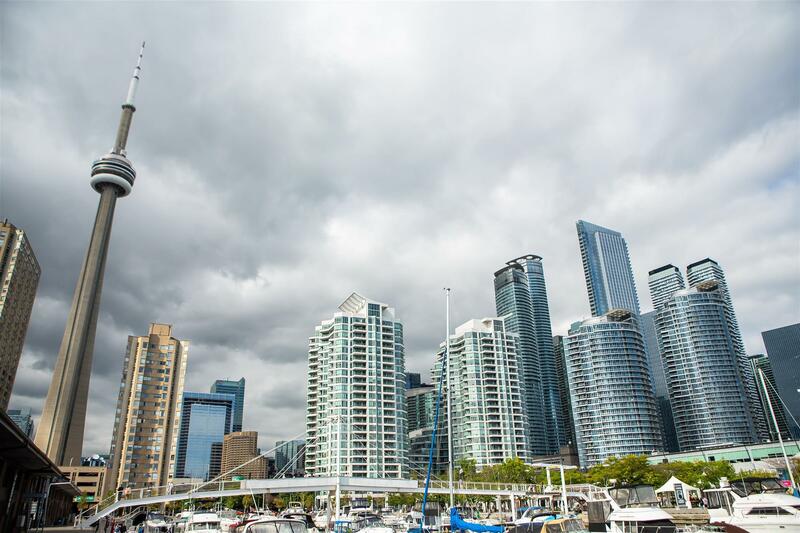 Head to the docks to catch the Toronto Island Ferry from this part of the city. Who lives here: Young and old mingle in this vibrant neighbourhood. Old money and up-and-coming professionals. And due to Harbourfront's waterfront location, there are also boating enthusiasts who live in the area. Harbourfront real estate is a treat for everyone exploring luxury condo and loft options in Toronto. The neighbourhood is said to have the largest collection of upscale condominiums in the city. This means large, spacious floor plans, a vast array of amenities, and some of the best views of the Toronto waterfront and skyline. The older condominiums in Harbourfront offer bigger units and also fetch higher price tags. Most of these properties were built sometime in the 1980s. Newer condos have also sprung up in the neighbourhood, offering a healthy dose of variety to the local condo and loft market. 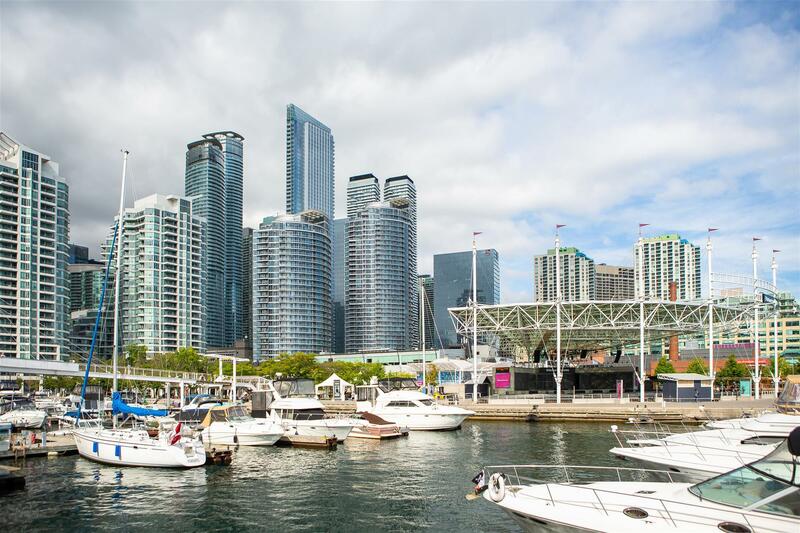 Harbourfront is one of the best places to live in Toronto if you are looking for stunning views of the water and a plethora of summer activities. Contact Casey Ragan today to learn more about your options in the area. Shopping: People don't often go to Harbourfront to shop; they come here for the events. That said, you can find a variety of interesting curiosities at the local stores. You can purchase art at the galleries at Queen's Quay Terminal, while you can find local crafts and other cultural products at Harbourfront Centre. Wining & dining: Waterfront dining is the kind of experience you will get in Harbourfront, served in platters of different cuisines. Must-try restaurants in the neighbourhood include Miller Tavern, Miku, Amsterdam BrewHouse, Pearl Harbourfront, Oyshi Sushi, Joe Bird, Loch & Quay, and Harbour 60 Toronto. History & culture: The Harbourfront city attractions include Fort York National Historic Site, Coca-Cola Coliseum, Tall Ship Kajama Boat Cruises, Canadian National Exhibition, and Spadina WaveDeck. A short ferry ride away is the Centreville Theme Park. Events: Harbourfront is where you want to visit for a string of activities and cultural events throughout the year. Every summer, Toronto Music Garden hosts a series of free concerts. Meanwhile, different aromas waft in the air at Harbourfront Centre from May to October, when most of the food festivals such as TaiwanFest and Barbados on the Water take place. During the same period, there is also Street Stage, which features live entertainment. October is the season of the International Festival of Authors, which usually takes place over the course of 11 days. For more information about events at the Harbourfront Centre, click here.